picture of the late Rembrandt “Holy family" fully reveals to the viewer the author's style, warm colours, the play of light and shadow. The background in this work plays a very important role, as the painting's narrative turns warm, home and at the same time religious. Rembrandt Harmenszoon baths Rhine – famous artist “Golden age”, who sought through their work to convey the human soul, so many of his paintings are covered with mystery. The artist was born to a wealthy family, but despite this, parents raised children in strict Catholic rules. Rembrandt from childhood gave preference to the exact Sciences and loved to draw, which is why his parents sent him for training by the Dutch artist Jacob baths Swanenburgh. The training went smoothly and the young man quickly mastered the technique of drawing. Talent of the young artist was noticed by many art lovers who ordered Rembrandt's religious work. Real success comes to the artist in Amsterdam, when he met with the daughter of a wealthy burgher baths Saskia Uylenburgh. 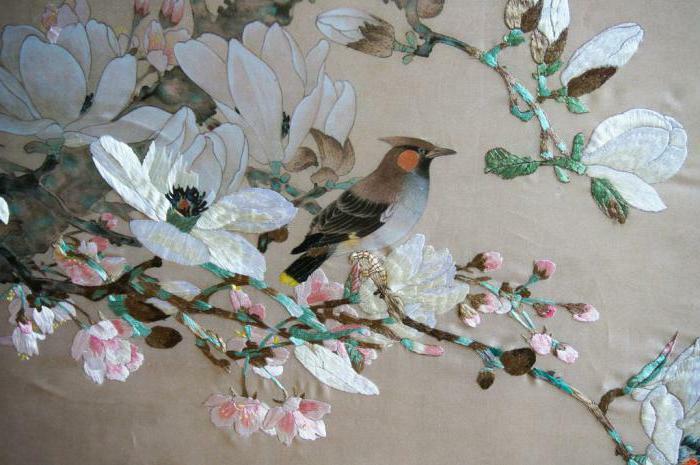 He was inspired by the beauty of his beloved, it is so often portrayed it on his canvases. 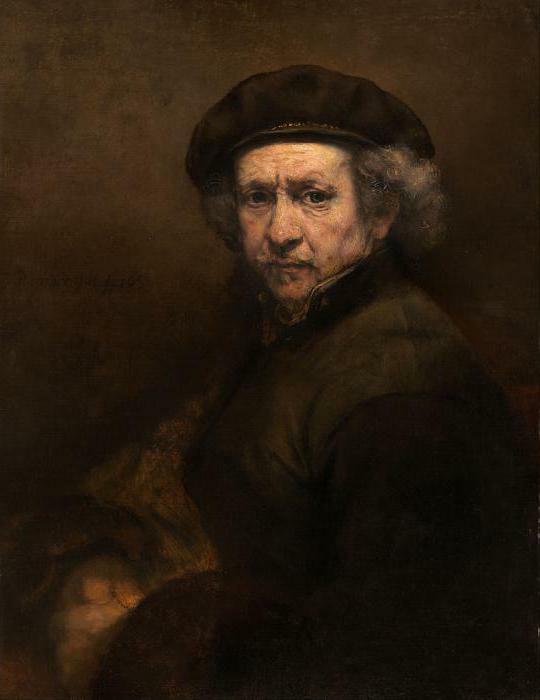 Rembrandt believed that the true purpose of the artist is the scrupulous study of nature of man, so all his paintings were considered photographic. He tried to convey all the emotions of the depicted person. His paintings depict not just faces and stories with their history. When creating his works he used a minimum of colors, but thanks to the unique play of light and shadow made them very realistic. Rembrandt “Holy family" of the painting, written on the famous Bible story. It depicts, at first glance, the common people, but descending angels suggests that this is not just a family, and the mother of Jesus, backed by Joseph. This canvas is literally imbued with the peaceful silence and sanctity. 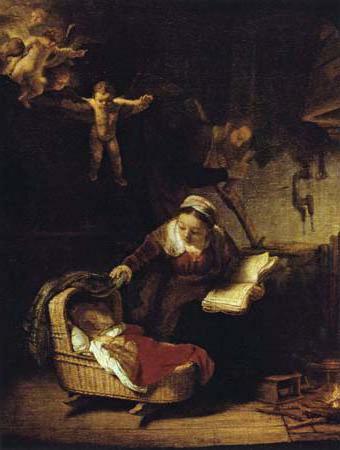 Everything is very clearly thought out to the smallest detail, caring mother who looks at her sleeping child, and his concentration on the figure of Joseph. In 1645 wrote a Rembrandt "Holy family”, which surprises the admirers of the master. This canvas becomes the mark the beginning of a new, more peaceful cycle in the works of the great masters. Historians attribute this to the events in the personal life of the artist, as it was at this time he tries to devote himself entirely to the younger son. painting by Rembrandt "Holy family” all the characters sound natural as if the wizard wants to move the audience in a cosy atmosphere, a simple peasant family. 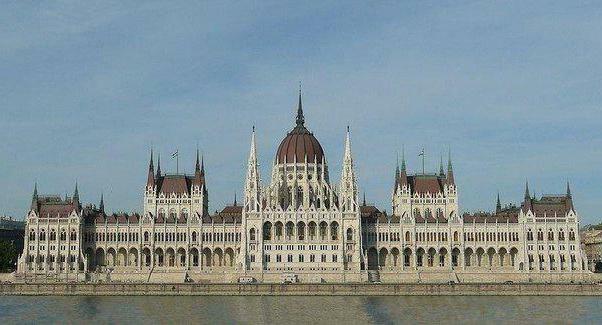 In his work there is absolutely no pomposity, as the artist drew inspiration from people around him. 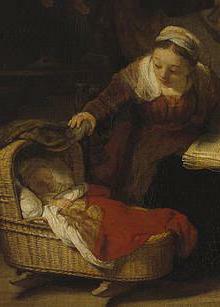 Making the description "the Holy family" by Rembrandt, many critics emphasize that the painting is significantly different from other paintings by the master. There's no dynamic plot, inherent in the works of the author, and all the canvas is imbued with peace and calm. First glance at the cradle peacefully sleeping baby Jesus. The mother bent down to the child to check whether he does not interfere with the light coming from the fireplace. 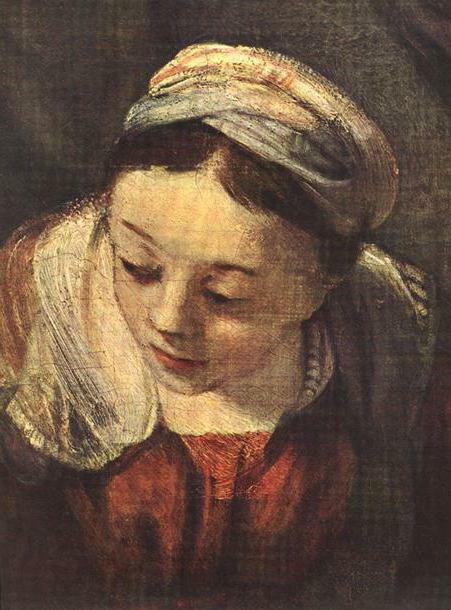 looking more closely at a Rembrandt "Holy family”, you notice Joseph, who is busy about their usual business. His focus, as well as the aspect of the figure and facial expression show just how difficult a man's life. This work could reflect the everyday life of any family, however, to underline its peculiarity, the artist places in the left part of paintings of angels. 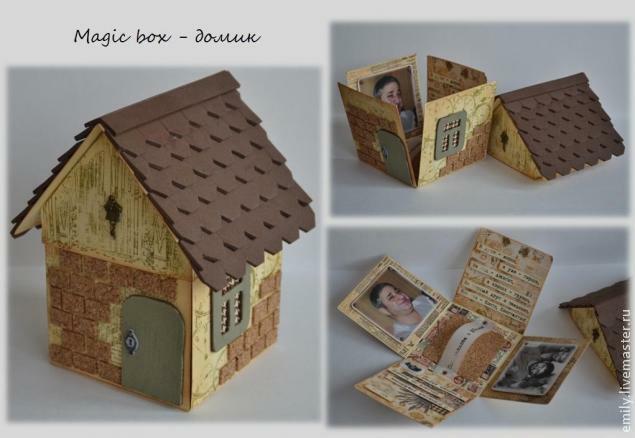 Master class: a gift box "House with a tiled roof"